On Wednesday, it was reported that Apple (AAPL) recently purchased San Francisco-based mapping data analytics and visualization company Mapsense. The purchase price was stated to be somewhere between $25 million and $30 million, but AAPL management (as usual) remained tight-lipped about the acquisition. Put more simply, Mapsense can collect and analyze location data from billions of devices and present that information in a simple, readable way. The original intent behind Mapsense was to provide businesses with highly accurate location information to better plan and refine marketing strategies. And with Apple’s boilerplate response to questions about the acquisition — “Apple buys smaller technology companies from time to time, and we generally do not discuss our purpose or plans” — plans for how AAPL will be using Mapsense’s technology and resources remain a mystery. Is Apple Maps About to Get an Update? When it launched in 2012, Apple Maps was an utter disappointment. Many iPhone owners complained about incorrect navigation, distorted displays, confusing search results and a host of other problems that made the app inferior to alternate software, such as Google Maps. 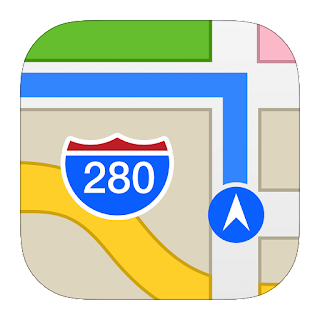 AAPL has spent the past three years trying to update and improve Apple Maps by adding features that Google (GOOG, GOOGL) has long since included in Google Maps — the program typically considered the paradigm of mobile mapping software. For instance, in June, it was announced that Apple Maps would soon be upgraded to include public transportation routing options.That upgrade was apparently a long time coming. Back in 2013, AAPL purchased HotStop, a crowdsourced location data provider focused on mass transit. The acquisition apparently cost Apple $1 billion, and — three years later — led to the addition of transit directions for 10 North American and European cities in iOS 9’s version of Apple Maps. Interestingly, HotStop has announced that its service will no longer be available as of October. Also earlier this year, AAPL began collecting street-level images in several major cities to better compete with Google’s Street View, a feature that allows users to see actual 360-degree panoramic views of their destinations. This past May, Apple also acquired Coherent Navigation, a developer of commercial navigation services and solutions using GPS technology and partnerships with industry giants such as Boeing (BA) and Iridium (IRDM). Mapsense is the latest in a string of location technology companies being snatched up by AAPL in an attempt to catch up to Google Maps. But how much of the technology developed by Mapsense will end up enhancing Apple Maps, and how long will it take for those enhancements to reach iPhone owners? Considering the staggering number of iPhone owners around the world, Apple is most definitely a force to be reckoned with, and it’s no surprise that AAPL wants to rid the iPhone of Google Maps. It’s nothing short of a jab in the eye for Apple when customers turn to its No. 1 competitor for mapping and navigation software. Unfortunately for AAPL, Apple Maps — at this point, at least — is well behind Google Maps in terms of features and functionality, and it’s unlikely to catch up in the foreseeable future. AAPL purchased a number of location-based companies, each of which possesses good technology that has the potential to complement the Apple Maps program, but AAPL is simply too slow to integrate those features. Case in point — it took more than three years to add subway data to Apple Maps, and even then it only included 10 major cities. Meanwhile, “Google Maps has provided public transit information since 2007,” and its data includes more than 18,000 cities and towns located in 64 countries. As for Mapsense, it’s unclear what features (if any) might eventually become available to Apple Maps users. One thing is clear, though — it will be a long, difficult journey before Apple Maps catches up with Google Maps. Can Anything Save Zynga Stock From Its Deathbed?